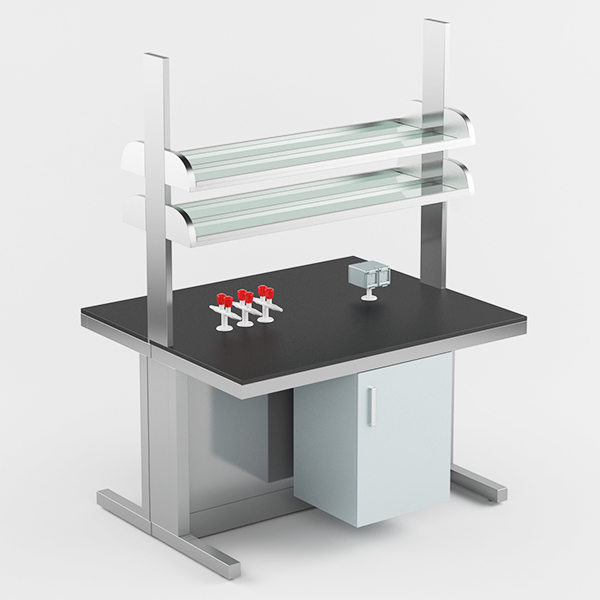 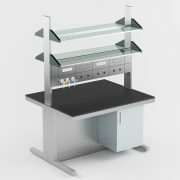 CENTRAL LABORATORY BENCH with C-FRAME structure , made of laminated steel 60 x 30 x 1, 5 mm and protected by epoxy paint. Underbench registrable cover panels for easy maintenance. Modular system that can be coupled with other lab benches to make the design you need. 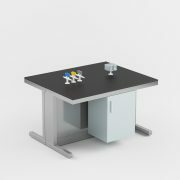 They can incorporate under table cabinets on wheels and/or hanged cabinets.